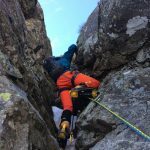 UIAGM aspirant guide Alessandro would like to take you on a thrilling winter climbing day on Monte Mucrone, on the Canalino way, near Biella, in the Italian Alps. 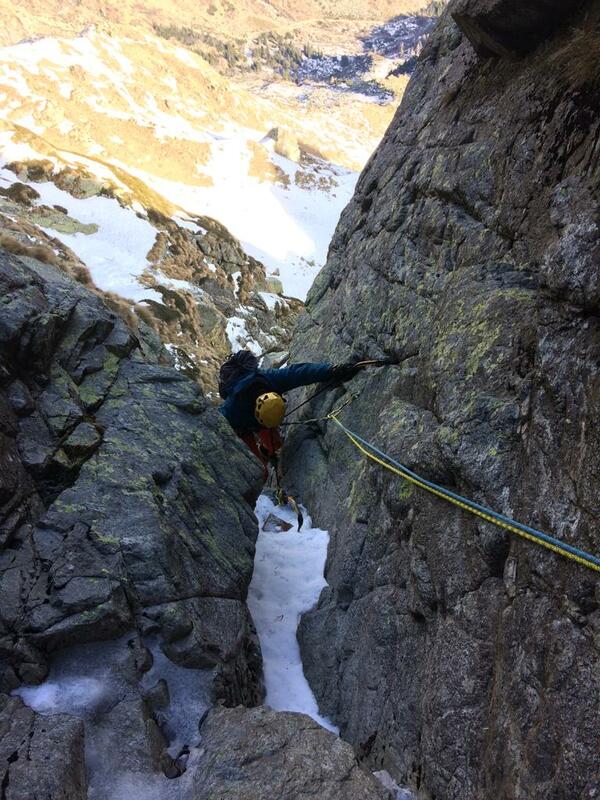 Enjoy an exciting climb of Mount Mucrone in the Italian Alps. 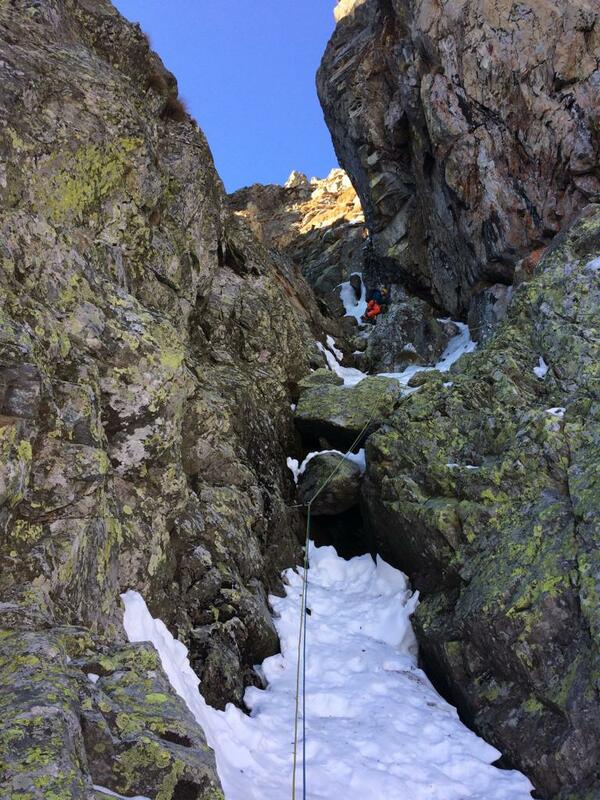 Challenge yourself on the thrilling, technical Canalino route. Bask in great views from the peak's summit, of the Alps and the town of Biella. 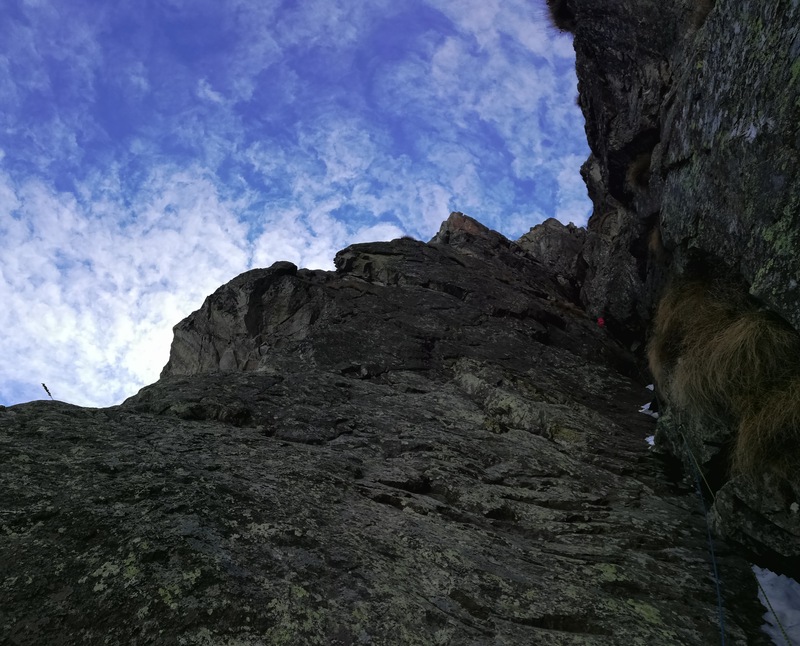 Climbing in the Alps is an incredible experience. 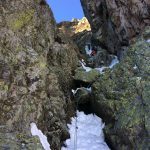 And because there are so many amazing peaks to choose from, you can spend a lifetime climbing in the famed range and never have the same experience twice. And on this full day adventure, I would like to guide you to the summit of one of the Alps’ lesser known peaks: Monte Mucrone (2,335m). Our journey will begin at a predetermined meeting point. From there, we will begin our ascent of Monte Mucrone along the Canalino route. The approach will be about 800 meters. 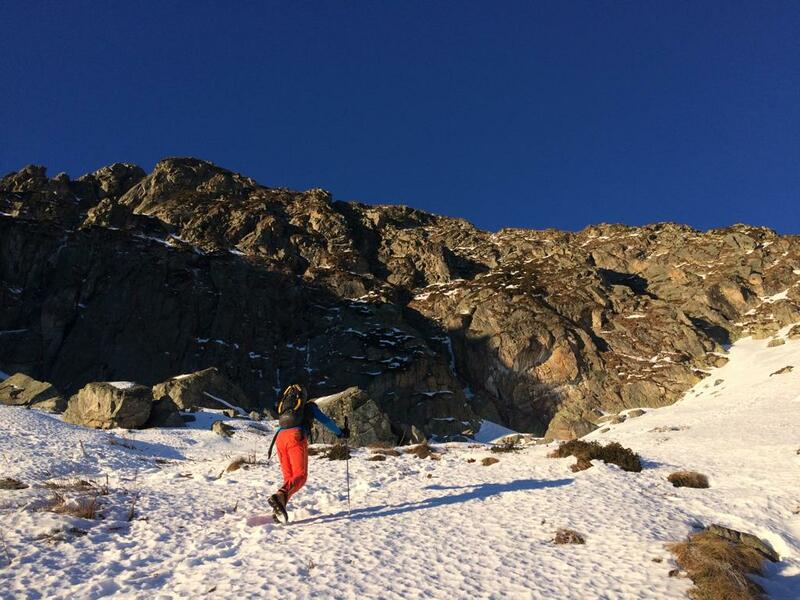 Our ascent will be about 350 meters, covering snow fields, ice and rock. Finally, our descent will be about 1,200 meters. The overall time needed for the entire trip will be between 8 and 12 hours, and will depend on weather conditions, our pace and other factors. 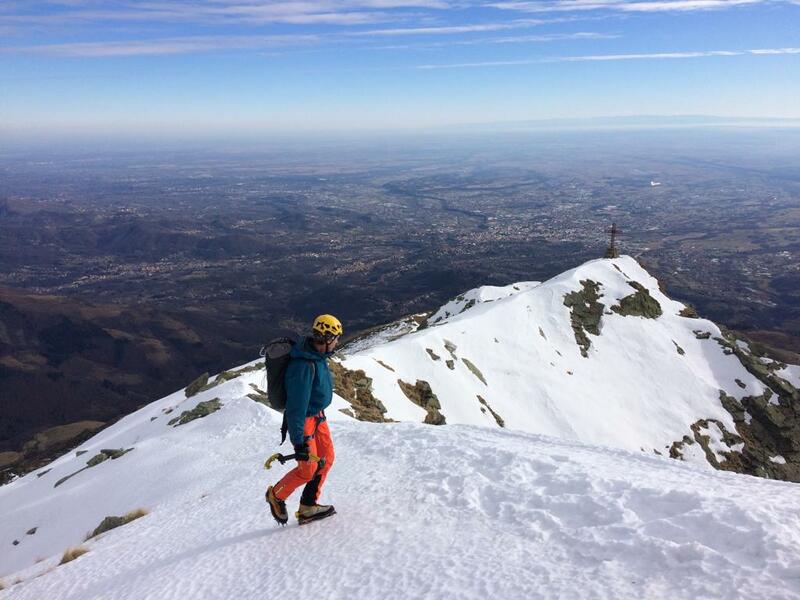 While the journey to the top of Monte Mucrone is very exciting, it can also be very challenging. Our route is quite technical. As a result, it is important that participants on this trip are experienced mountaineers and are in excellent physical condition. 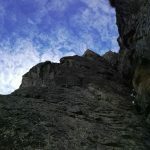 Are you looking for a lesser known peak in the Alps to climb? 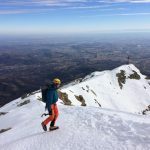 Then this full day ascent of Monte Mucrone is for you. The climb is thrilling and the views from the summit of not only the Alps, but the surrounding landscape, as well as the town of Biella, are breathtaking. To join me on this trip, just send me a request. Would you like to enjoy an easy, scenic glacier trek directly in front of Mont Blanc? Then come and join me on this full day trip. The price does not include lunch, transportation, equipment and cable car ticket if needed. To be determined with the guide prior to the beginning of the trip. There are comfortable accommodation options in Biella that I would be happy to recommend to you. 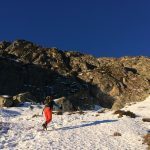 Participants should bring the following items with them: harness, ice ax, crampons, helmet, back pack, trekking poles, sun glasses, mountain pants, mountain boots, 2 pairs of gloves, one thin and one heavy, hat and goretex jacket. 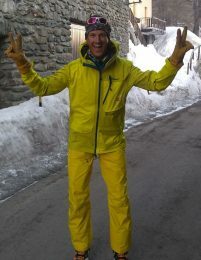 I was born in 1981 and live in the Aosta Valley, surrounded by the wonderful peaks of my region. I started guiding in 2016. 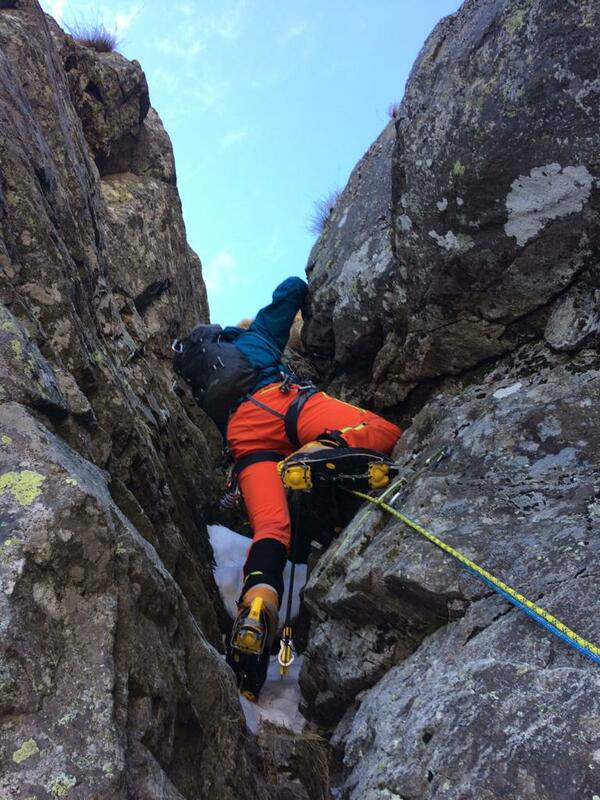 I like all mountain activities: freeride skiing and ice climbing in winter, ski mountaineering in spring, mountaineering in the high mountain in summer and rock climbing whenever possible!